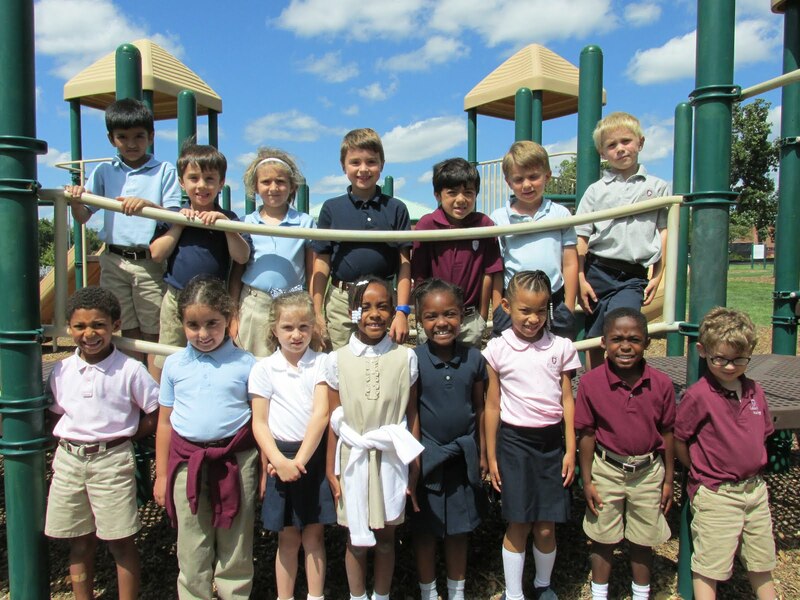 Columbus Academy Lower School is a Community that CARES! *COOPERATE ~ Work together. You'll feel great! *ASSERTION ~ Assert yourself. Make your thoughts known. Don't be afraid! *Responsibility ~ Take a stand, just be brave! *Empathy ~ Empathize. You're not alone. Together we can fly. We use the Responsive Classroom approach as a framework for setting the tone in the classroom in which we teach. We do not think of the room itself as "Mrs. Simmons' and Ms. Espasandin's" room. Instead, we believe it is "OUR" classroom, belonging to the students, teachers, parents, and others who share an interest in what happens in first grade! 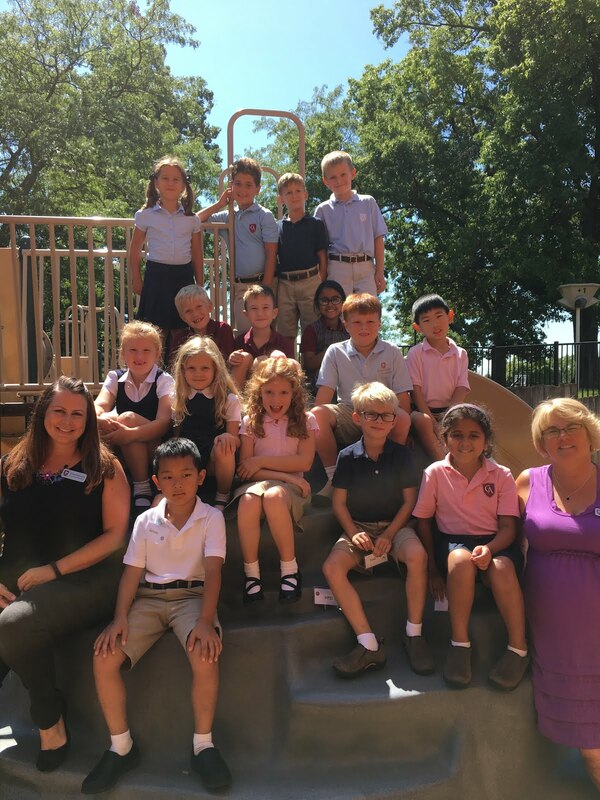 From the start of the year, the children are involved in making decisions and completing tasks that are crucial to developing a community of learners. Children in Responsive Classroom environments are quite invested in their classrooms. During the first week of school it is up to the students to work together to design specials signs for each letter day so we know what day and time we have each special (Art, Music, PE, etc.). The 1D students offer suggested names for our class, and they decide on a group name after a class vote. In that way we develop a group identity - recent classes have chosen The Diamonds and the Learning Heroes as class names. Each student in the class is expected to take responsibility for helping our classroom to run smoothly. If paper needs to be picked up or tables need to be cleared, we expect each class member to lend a hand. We do have one daily Teacher's Assistant and this student is the "go to" helper for the day - the line leader, messenger, Morning Message reader, etc. ALL students will participate in daily calendar activities, so we do not have just one Calendar Leader. Establishing routines is an important aspect of Responsive Classroom. One favorite routine is the daily Morning Message. Children begin their day by reading the message and responding in some way. Another not-to-be-missed routine is Morning Meeting. During Meeting, we sit in a circle on the floor. The kids have a chance to be recognized by both classmates and teachers and they engage in activities that set a positive tone for the day, Morning Meeting is also the perfect time for the teacher to give an overview of the day and perhaps teach a whole group mini-lesson. Our belief is that children learn best in an environment in which they are comfortable. They need guidance from their teachers, and they need to know who is ultimately in charge, but they also need to feel some ownership for their learning and the environment in which it takes place. We also believe kids need to learn how to work with each other and with adults. We know that it is essential that children have clear expectations regarding rules and that there are logical consequences for breaking rules. Using Responsive Classroom techniques has been a great way for us to combine our beliefs with a thoroughly researched approach to building a truly responsive classroom!